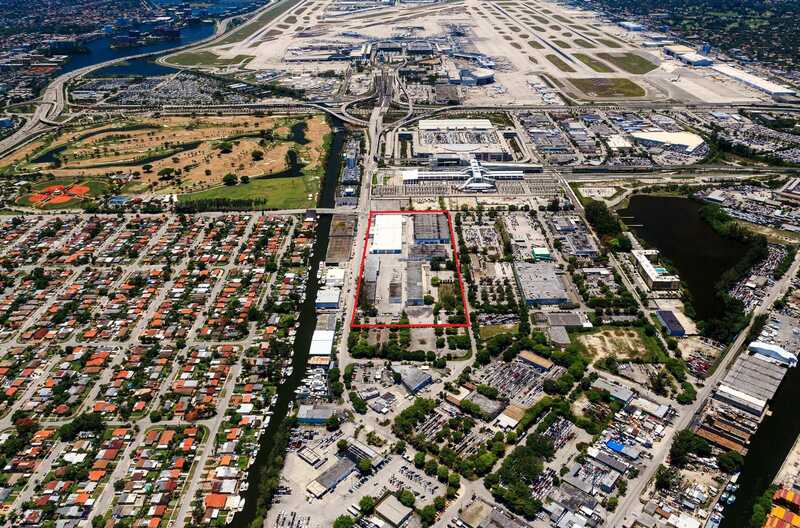 Miami-based real estate lender BridgeInvest is pleased to announce that it recently closed a $9,000,000 loan secured by a prime industrial complex neighboring the Miami International Airport. The loan allowed the borrower, Interterra Investments Group, to refinance the property on a fixed funding schedule and providing it with additional time to execute its lease-up plan on the unique site. The property consists of approximately 15 acres of land with 300,000 square feet of industrial space, which formerly comprised the Bertram Yacht Facility. The industrial site benefits from its proximity to the Miami Intermodal Center, a massive $2 billion public transportation hub that connects the MIA Airport to the greater South Florida region by metro, rail and bus. The borrower is led by Jorge Bernstein, who specializes in adaptive reuse projects in his native Argentina, including retail centers and the large-scale revitalization of old industrial sites. After acquiring the property and adjacent marina parcel in August 2015, the borrower needed to refinance a short-term purchase money mortgage provided by the seller. “We knew we could rely on BridgeInvest based on their proven ability to finance high quality assets with limited cash-flow on an expedited timeframe. Their efficient execution allowed the borrower to successfully satisfy its existing loan and avoid incurring any penalties associated with the payoff,” said Horacio Stuart Aguirre, chairman of the Miami River Commission, who represented the borrower in securing the financing. BridgeInvest remains confident in the success of the transaction considering the tremendous demand for industrial space as Miami continues to grow as a global transportation and trade hub.